On my recent summer weekend away to Windsor, Ontario, Canada, if there was one thing I learned about this city that borders Detroit, Michigan, it’s that it has a vibrant and delicious food scene. I basically non-stop ate while I was in Windsor and I still didn’t even scratch the surface of all the yummy places I could try out. Here are just some of the places I’d recommend to try out if you’re in the area. 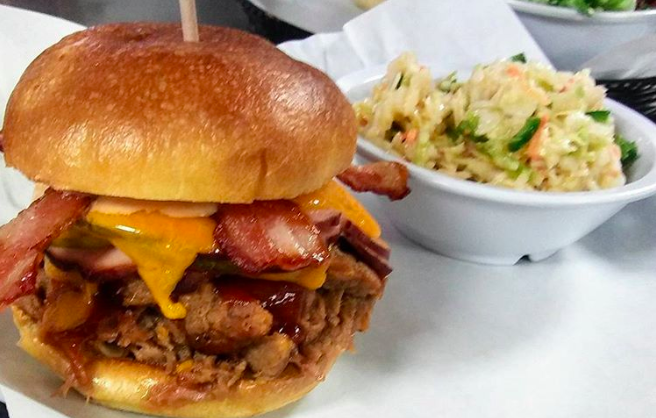 There is an ongoing debate on if Mamo Burger or Motor Burger serves up the best burger in Windsor and unfortunately I didn’t get to try either so I’ll let you be the judge. Both serve up all sorts of burgers you can ever imagine. 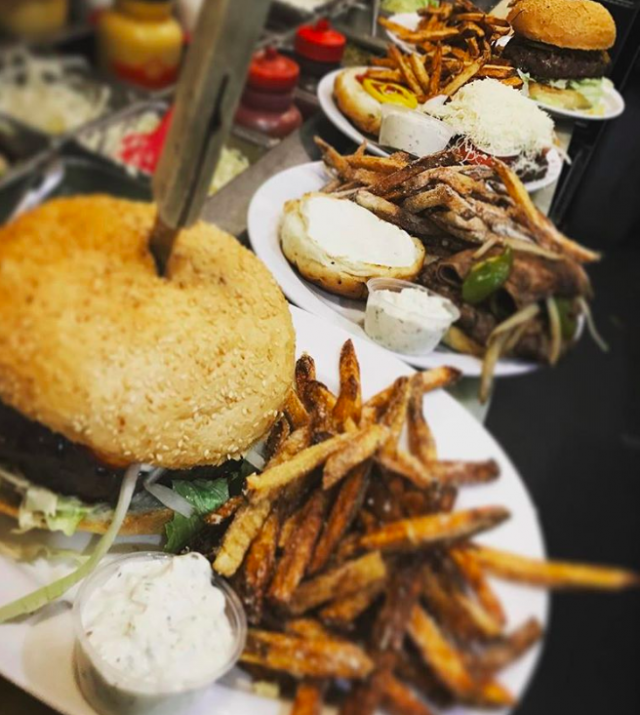 I’ve been told Mamo focuses more on those massive, Instagram worthy burgers and Motor focuses more on the quality of their burger. Whatever the case, both places are worth checking out! This cafe is a cute place for a fresh coffee or tea, or a little bite to eat or sweet treat. Taloola Cafe is super cute with a boho decor and boasts a menu of sandwiches, salads, organic treats and more. 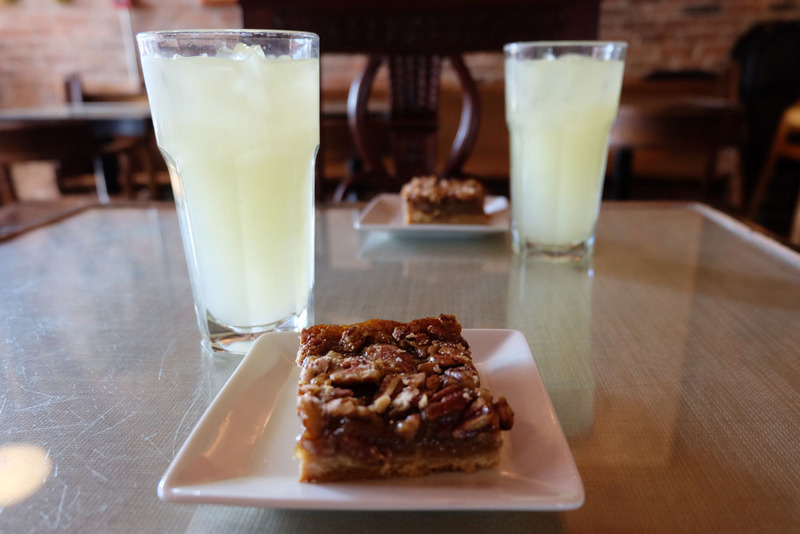 I tried the pecan tart alongside my ginger lemonade! They’re also part of the Coffee Culture program. This super cute and casual restaurant has an open concept tiny kitchen that serves up small share plates and sandwiches. 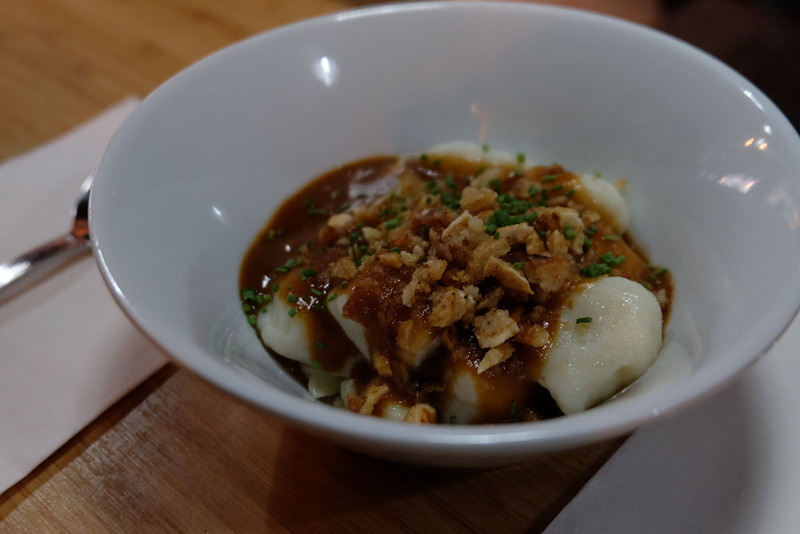 Try their gnocchi poutine (photographed above) for a unique twist on the Canadian dish, or go for one of their famous sandwiches like the Italian Job made with porchetta. Much more known for their beer than their food, however you can get a mean charcuterie board here to munch on. This brewery is relatively new to the beer scene in Windsor and it’s set in a historical building with a lot of character located in the historical Sandwich district. The beer is fantastic and rotating. When I was there I tried a raspberry blend and also a blood orange beer! 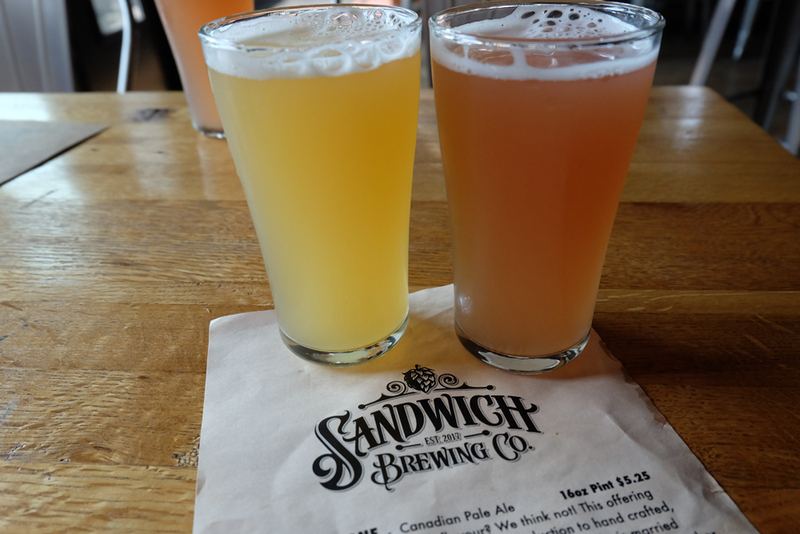 Both were fantastic… and I’m not even much of a beer person! They’re also part of the Barrels Bottles & Brews trail. This little old deli doesn’t look like much from the outside but it has been serving the area since 1929. 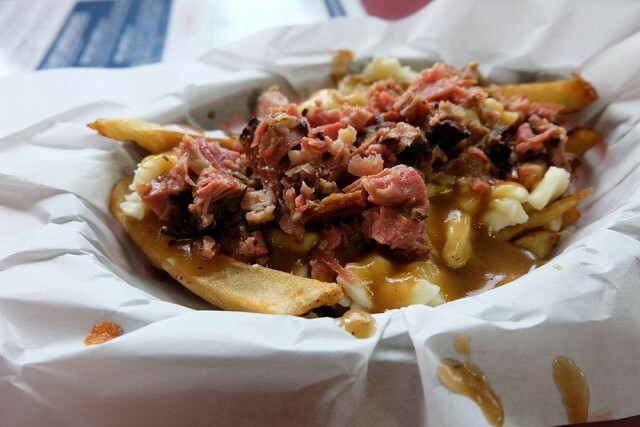 Try one of their amazing smoked meat sandwiches or go for what I was there for, their smoked meat poutine. It doesn’t get any more Canadian than this. For a super cool experience, try it during the WindsorEats Dirty Poutine Experience. I’m actually devastated I didn’t get to try this place after being told about it from one of my tour guides. Bubi’s is known as “the house of garlic and pleasure” and if you’re a garlic fan like me it’s apparently the place to go. It’s been around since 1984 and was featured on the Food Network’s You Gotta Eat Here. This Lebanese restaurant is not only huge and modern, but the food is authentic and delicious. 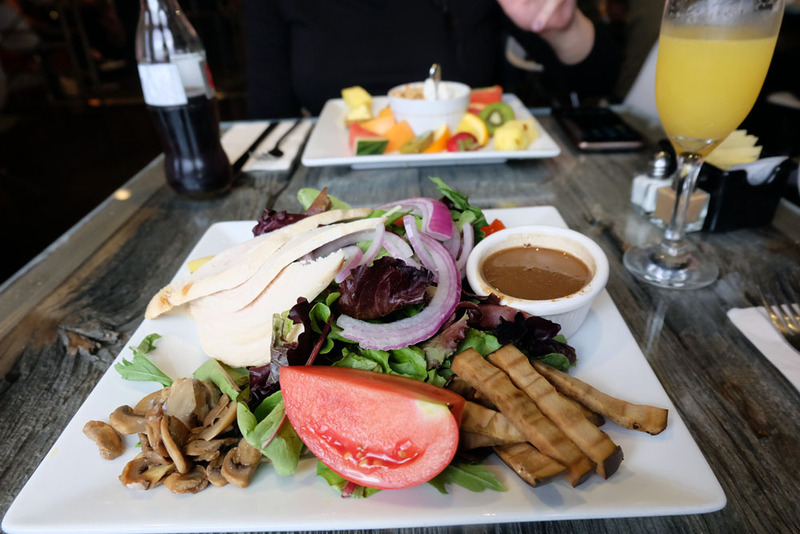 Mazaar is known for their Middle Eastern cuisine serving amazing hummus and pita, grilled kabobs and all the mediterranean classics. 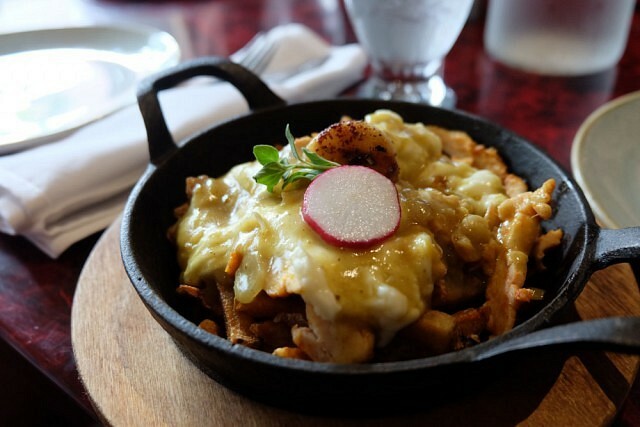 They even have a unique twist to the traditional poutine (photographed above)! 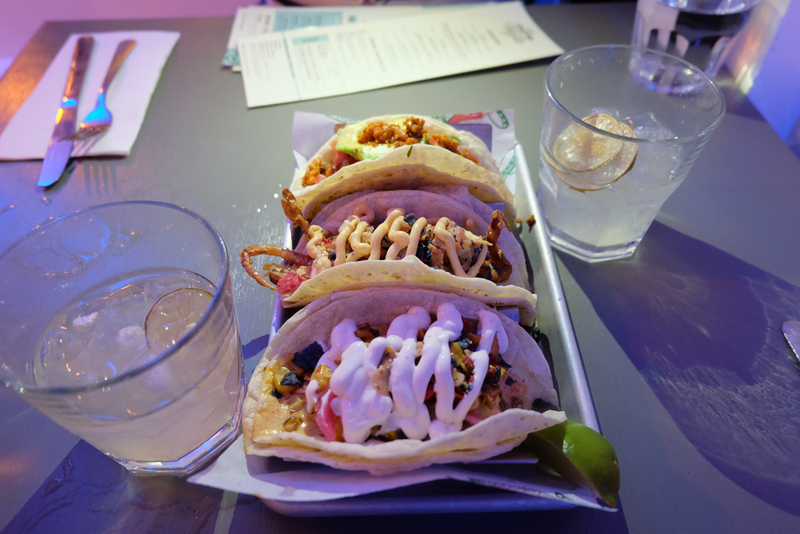 A new Mexican joint that has popped up in Ford City, Grand Cantina has adorable Instagram-worthy decor, combined with your favourite Mexican street foods. Try their vegan chorizo taco, or the O.D.B. taco, and don’t you dare skip one of their famous margaritas because they are so good! This cute and bright breakfast and lunch spot is not just adorable but they serve amazing breakfast. 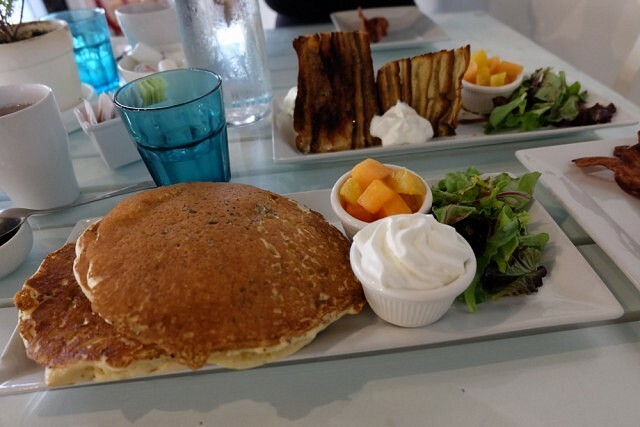 Try their french toast lasagna or lavender pancakes. If your visiting for lunch, A Dog’s Breakfast serves typical diner food specializing in burgers and hot dogs! Owned by the same people behind A Dog’s Breakfast and located right next door, another great option for brunch on the weekends is The Squirrel Cage. They serve all your breakfast favourites like eggs benny, combined with some unique breakfast concoctions like the french toast pancakes. The Squirrel Cage is also great during the week for a quick lunch, serving a variety of paninis and salads. Windsor is famous for their pizza, this is something I just recently learned. What makes their pizza so good is the fresh local mozzarella cheese, the shaved pepperoni, and the canned mushrooms (not fresh). 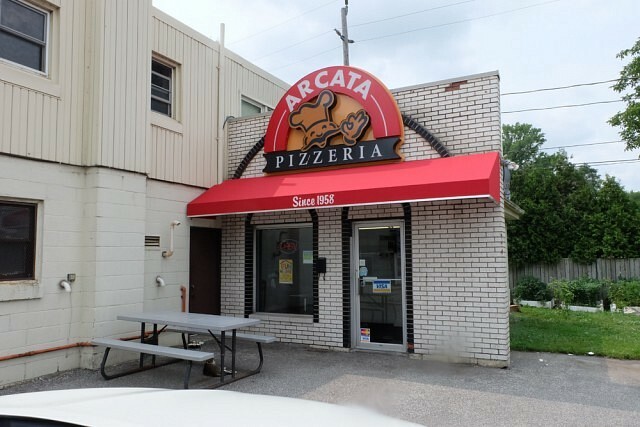 There are tons of pizzeria’s in Windsor, even one that has won international recognition (Armando’s), however I was told by multiple people that Arcata Pizza is the best of the best and after trying it, it definitely lives up to its hype. To read more blogs from Tourism Windsor Essex click here. Sponsored story written by Tourism Windsor Essex. For more details on Tourism Windsor Essex click their website, or visit them on Facebook, Twitter, or Instagram.